Much like Lunar New Year celebrations around the world, Setsubun is considered a new start of sorts. It's a chance to get rid of evil spirits that bring sickness and prevent good fortune. Since New Years is a time where family gets together and we respect our ancestors, it is belived that many spirits come out. 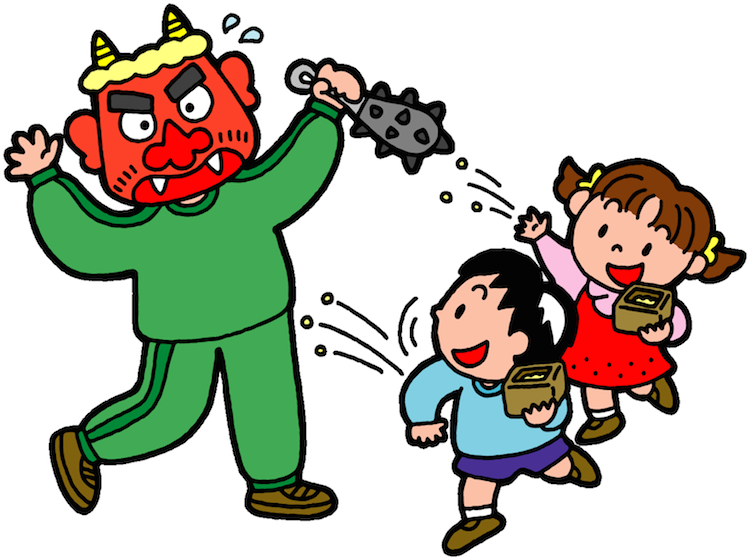 Setsubun in part, sends the bad ones back to their world. Roasted soybeans known as fuku mame (fortune beans) are thrown out the door in the direction of unsuspecting evil spirits—and sometimes a senior male member of the family designated to don a demon mask and play antagonist for the occasion. 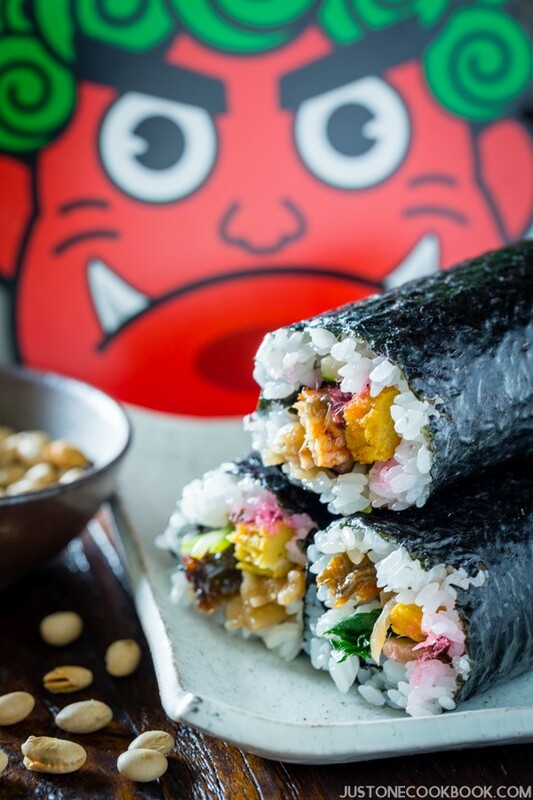 The primary food on Setsubun is a sushi roll called Eho-maki (恵方巻). This special sushi roll is made with seven fillings, representing the Seven Deities of Good Fortune called Shichifukujin. The type of ingredients are not as important as the number. You can choose your favorite seven sushi roll ingredients, and roll them up tight to lock in the elements of good health, happiness, and prosperity. It is also very important not to cut the eho-maki sushi roll for this same reason. Cutting the sushi roll, as would normally be done on any other day, will slice into your good fortune. There is one more essential practice to get this right. Eho (恵方) means “lucky direction. So this special sushi roll is literally a Lucky Direction Sushi Roll. That means if you dont eat it facing the lucky direction, don’t count on dreams coming true this spring. With eho-maki in both hands, face South by Southeast into the auspicious direction of 2018, and eat the entire sushi roll while keeping completely silent, pondering the season passed, wishing for good health and happiness in the spring, and enjoying every bite of your delicious Setsubun festival favorite – Eho-maki.